There are currently an estimated 617,300 hairdressers in the United States. The hairdresser job market is expected to grow by 13.0% between 2016 and 2026. CareerExplorer rates hairdressers with a B+ employability rating, meaning this career should provide good employment opportunities for the foreseeable future. Over the next 10 years, it is expected the US will need 85,100 hairdressers. That number is based on 80,100 additional hairdressers, and the retirement of 5,000 existing hairdressers. Employment of hairdressers is projected to grow faster than the average for all occupations. This growth rate, however, will likely vary by specialty. For instance, the demand for hair colouring, hair straightening, and other advanced hair treatments has risen in recent years, a trend that is expected to continue over the coming decade. A large number of employment opportunities will stem from the need to replace workers who retire or leave their career for other reasons. 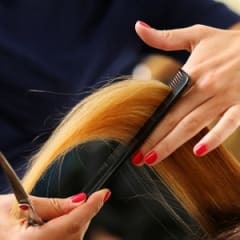 However, individuals should expect strong competition for employment at higher paying salons, of which applicants must compete with a large pool of experienced hairdressers. What’s the supply of hairdressers?